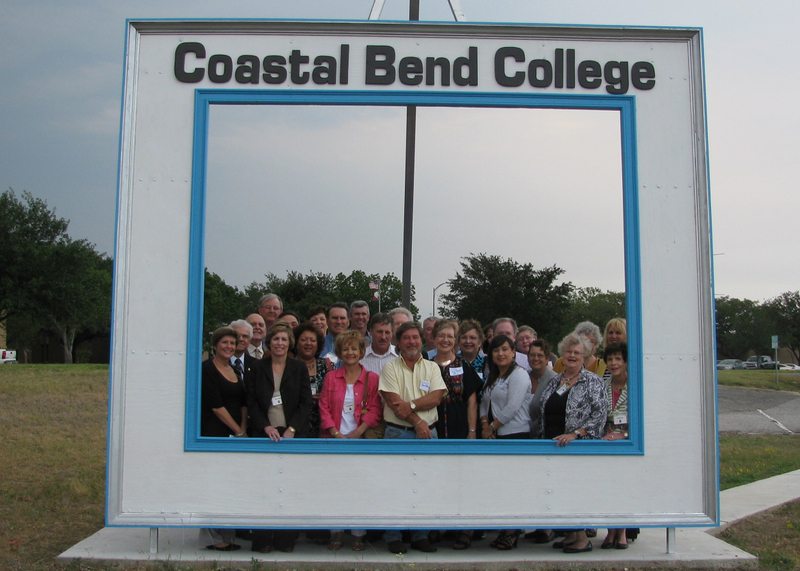 The Coastal Bend Community Foundation recently held a board meeting at Coastal Bend College in Beeville. Kay Past, representing Beeville Concert Association, and Dr.
Jim Lee, representing Beeville Community Chorus, made presentations to the board. Both organizations benefit from the work that CBCF does in the community. Other enrichment partners in Beeville are Coastal Bend College Dental Hygiene Program, Bee County Adult Literacy, Beeville Boys and Girls Club, Beeville Vineyard, First United Methodist Church Food Pantry, OATH, and St. Mary’s Charter School. Coastal Bend College President Dr. Thomas Baynum welcomed the board to the campus. Each board member was given a Coastal Bend College Wildlife Commemorative 2011 book that features the work of local wildlife photographers. Dean of Institutional Advancement Glynis Holm Strause and the IA Division hosted the meeting. CBCF is a non-profit corporation founded in 1981 to enhance the quality of life in the Coastal Bend region of Texas. The Foundation makes grants to charitable organizations, establishes funds to serve donors, and advances philanthropy in the area. The Coastal Bend Community Foundation is a philanthropic “pool.” Donated funds are placed with others so that even modest charitable contributions enjoy the professional administration given to larger funds while maintaining their individual identity. Foundation funds have grown from $150,000 in 1981 to $38 million in assets today. The Foundation has given more than $50 million in scholarships or grants to charitable organizations and higher education institutions in its geographical area of interest, which comprises Aransas, Bee, Jim Wells, Kleberg, Nueces, Refugio and San Patricio Counties.